“Sweetheart,” AKA “Super-Kitty” went missing on the 15th of April. 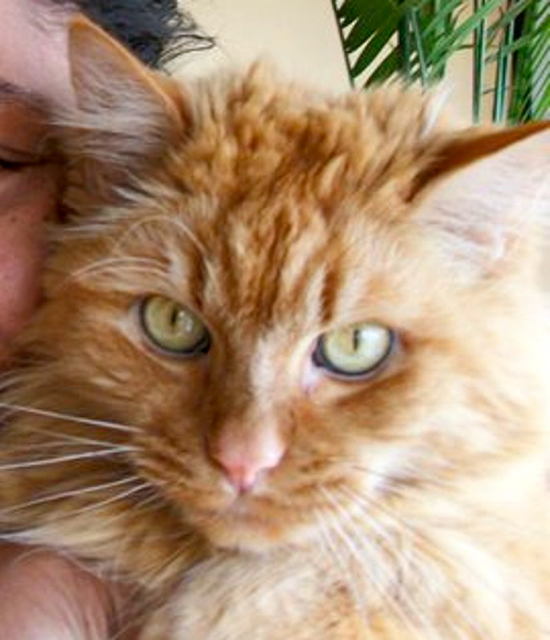 He’s an eight year old, long haired, orange (tabby) cat. He was last seen in the Arcata neighborhood at 12th and L streets, near Arcata Lumber. The bummer is that we recently moved, and fear that he may be trying to find his way back to Sunny Brae, near the Equinox School. He is not wearing his collar. We love him, miss him, and fear for him in this rain and chill. This entry was posted on Wednesday, April 18th, 2012 at 2:12 pm	and is filed under News, Community. You can follow any responses to this entry through the RSS 2.0 feed.